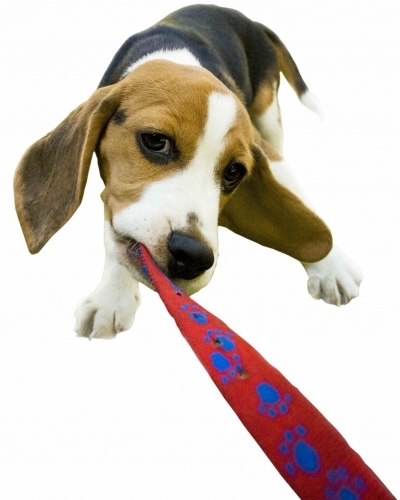 Furry Logic Calgary In-Home Dog Training is The Smartest Choice You can Make For Your Companion Dog! Our expert dog trainers / behavioural therapists come to your home to teach you how to train your dog. Our method covers the broad spectrum of obedience and housetraining for puppies all the way to serious problems such as aggression and separation anxiety. Each lesson is customized to the temperament, breed and age of the dog and the needs of the owner. Are you experiencing any of the following common canine behavior problems? Your dog seems extra difficult in the housetraining department and you’ve finally had enough of the carpet cleaning bills. Or your dog is driving you crazy with his excessive barking – at the doorbell, at the neighbours, in the car, at other dogs or anything and everything. You’re worried your dog seems aggressive. Maybe she’s been growling or showing her teeth and you just cannot predict her behavior anymore. You have a new puppy and would like someone to explain what makes the little canine tick. You’ve read a ton of books and you need someone to show you how. Your dog seems to be stressed or anxious all the time and barks at everything. You have been stuck in your home for a while worried that your dog who has major separation anxiety from you, cannot cope, has destructive behavior or barks all day while you are gone. You watched Cesar Millan, the Dog Whisperer, for the hundredth time and you still have problems with your dog pulling on the leash. Or you opened your heart to a rescue dog who seemed so sweet in the beginning and now you’re wondering if you picked Cujo’s offspring. Things seem to be getting worse all the time and you feel overwhelmed by the behaviour. Wondering if Furry Logic can help you resolve your dog’s behaviour? Contact us to find the right solution for your dog.